Standing in the nave of a cathedral, it is hard not to wonder how ordinary human beings could have created sky-scraping, dizzyingly high buildings on which even the top-most parts were delicately decorated, in an age before even the simplest of power tools. 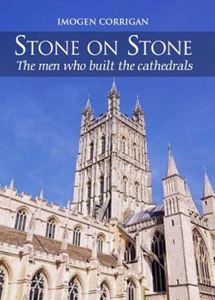 Stone on Stone presents the full story of the men who built the cathedrals of the medieval era: who they were, how they lived and how with the simplest of hand tools they created the astonishing buildings that hundreds of years later still stand as monuments to their ingenuity and skill. Topics covered include the context for building such huge places of worship; the men who built: who they were, and the challenges they had to face; finding the materials; construction techniques; building control and finally, who paid for it all.